Gone are the days when camping, or long distance touring, meant carrying just a spare pair of socks and grundies. 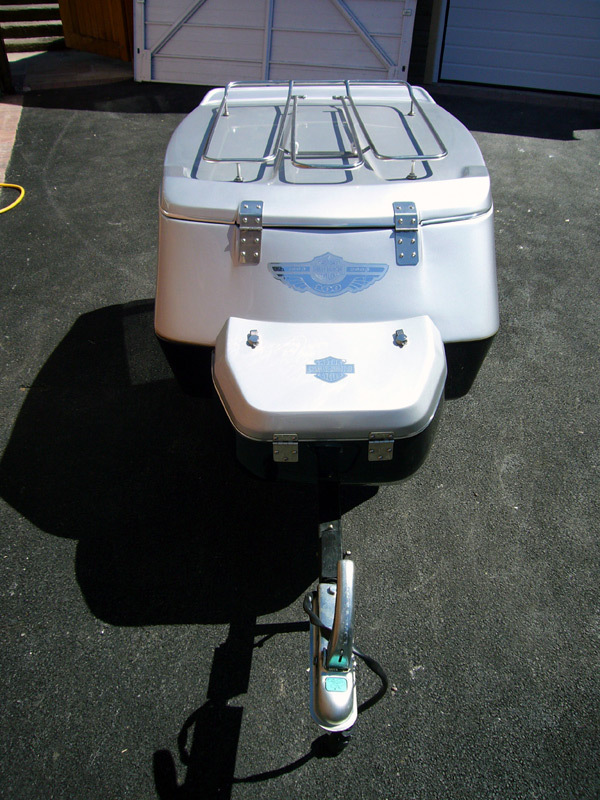 With our Custom Touring Trailer, you can take everything you could possibly need – including the kitchen sink! And, just like your bike, each and every one of our Custom Touring Trailers is totally unique. From the custom paint job – designed to match your motorcycle – through to the individual decals and logos. Simply provide us with details of your bikes colour scheme, then leave us to design a trailer that you’ll be proud to both own and tow. The fully lined and lockable trailer is capable of carrying a whopping 700 litres (24 cubic feet) of luggage. The integrated rack provides even more space for any large lightweight items. The lockable front box provides convenient storage space for any tools you may need to reach in a hurry, or a battery, coolbox, etc. 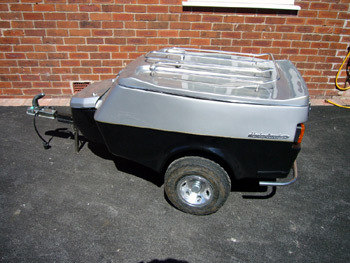 The trailer comes fully wired and is fitted with a 360 7 tow hitch. Wide wheels with chrome trims are standard. In the event of a puncture, a get-you-home spare wheel is located on the underside of the frame. Dimensions: 1890mm 2 980mm wide 2 815mm deep. 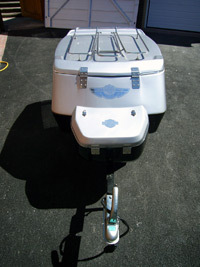 The lockable lid folds open to provide a flat surface. Part of the chrome lid rack folds down providing a supporting leg. 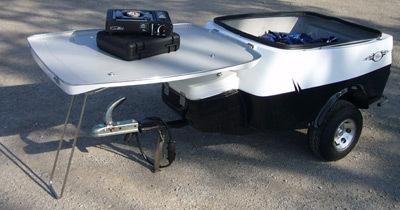 When open, the lid covers the tow bar preventing you from skinning your shins on it!